Acupuncture is part of Traditional Chinese Medicine and has been used by the Chinese for many years to treat a great variety of problems. In recent years acupuncture has become more popular in the West and is used in our Physiotherapy clinic as a form of pain relief. It can be very effective on both acute and chronic conditions due to its effect of stimulating endogenous opoids (the natural pain killers) and other neurotransmitters such as seratonin (the “happy hormone”) produced within the body. Many people report a reduction in pain, improved sleeping pattern and a general well being boost with acupuncture. Research is now showing very positive results for treatment of specific areas with acupuncture. Our Physiotherapists using acupuncture are registered with the Acupuncture Association of Chartered Physiotherapists. Initially, we will ask you a few questions about your symptoms and general health, once the decision has been made to use acupuncture and you have agreed and signed this consent form, decisions are made as to appropriate positioning of needles. This depends on the area to be treated and the sensitivity of the tissues. Points can be local to the area we will be treating or further away. 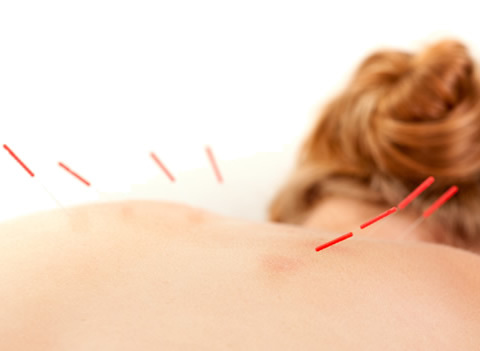 Acupuncture is a useful addition to Physiotherapy, particularly with the treatment of inflammatory joint conditions. Reducing a patient’s pain can enable them to achieve more in the rest of their Physiotherapy programme, such as an increased range of movement and exercise tolerance. All needles are sterile, pre-packed and disposable so there is no risk of infection. We have comprehensive standards of practice and procedures in place should an emergency occur. There are only a few cases in which Acupuncture should not be used. Our Physiotherapists will run through a few safety questions before performing any treatment.